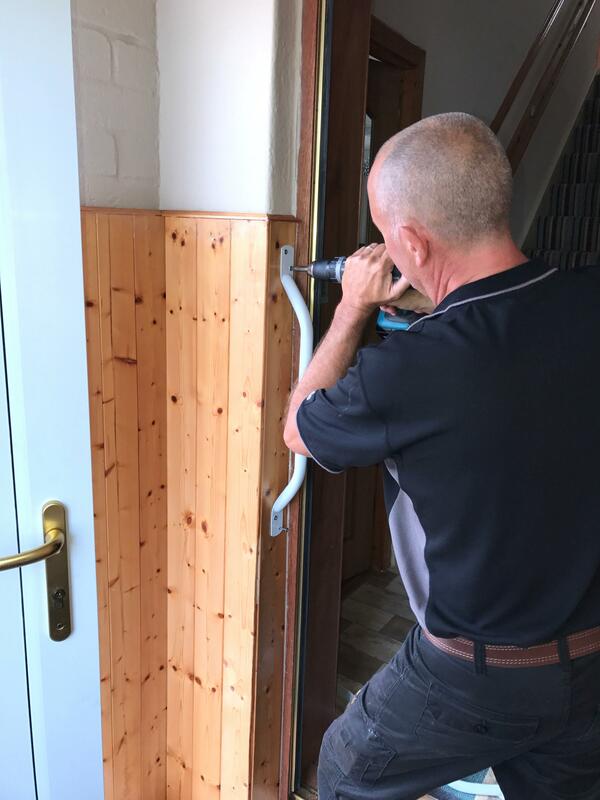 We operate a small repairs service, which is delivered by two full-time officers, and provides older and disabled people with practical help and advice in undertaking small repairs around their home. Although these types of jobs are generally small by nature, they can assist clients in terms of supporting independent living, improving the client’s well-being, and on occasion, reduce the risk of falls inside and outside their home. The service is open to home owners, private rented tenants and Cloch tenants any of whom are over 60, or who have a disability and includes a variety of small household repairs including small plumbing, joinery and electrical jobs. During 2017, the small repairs officers undertook 1708 small repairs. There are two distinct challenges facing Inverclyde Care & Repair, one of future financial sustainability, and the other responding to the growing needs and demand for services which enable its clients to remain in their own home as long as possible or return to their home after short hospital stays. In terms of financial sustainability, we introduced a charging policy for the small repairs service in April 2014, where clients can become members for an annual fee which is currently £45 and entitles clients to have as many small repairs visits that they require per year. However, if clients do not wish to become a member, there is a charge which is currently £15 per visit from one of our Small Repairs Officers. In all cases, clients will still be responsible for the cost of any materials required to carry out the repair.